Much loved by kids and adults across the world, dairy and wheat products are 2 ingredients which have to completely shunned off from a gluten and lactose free diet. Gluten is the protein found in wheat while lactase is the sugar found in milk and its products. 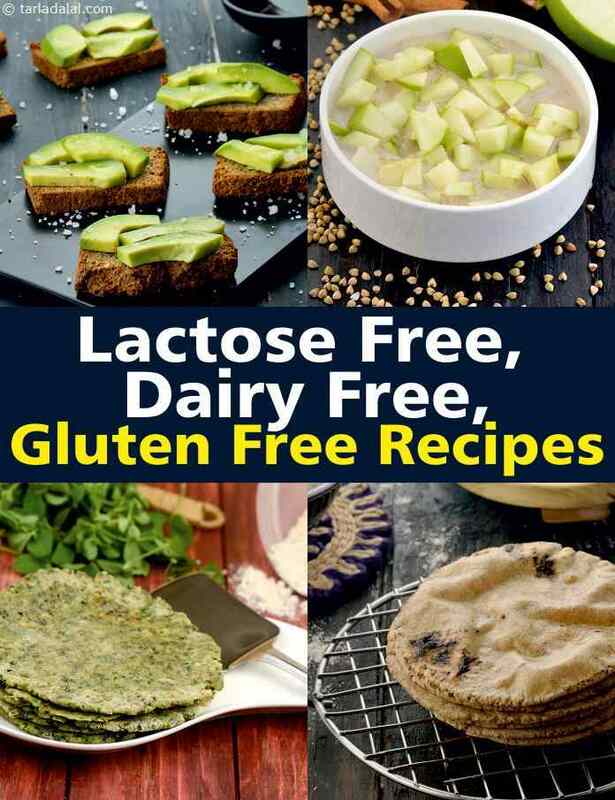 Intolerance to both gluten and lactase both in a person calls for scrapping a list of recipes like porridge, roti, paratha, a variety of Indian sweets, bread, cakes and so on…. Here’s how you can make toothsome recipes which are devoid of gluten and lactose. True that Indian breads make maximum use of wheat flour, but a variety of other flours like jowar flour, bajra flour, ragi flour, buckwheat flour etc. can be used to make rotis and parathas. Brimming with good health, our repertoire of recipes like Mixed Sprouts and Bajra Roti, Nachni Bhakri and Three Grain Paratha are the perfect answer to Indian staples. Try the super healthy Jowar Roti and Ragi Roti with some healthy subzis. When you have time on hand, do attempt making Almond Bread - made with the choicest of ingredients, it’s sure to delight your palate. For those craving for milk, can experiment with our recipe of Almond Milk. Buckwheat and Green Apple Porridge which makes use of Almond milk is also worth trying. The spectra of flavours and textures packed in these delicacies are sure to score 10/10 on your nutrient and health scoreboard. Go ahead and try out and enjoy them! Make your own coconut cream using this extremely simple method. You will never go back to the bought packs again, which do not only cost more but are also filled with preservatives. Coconut cream can be used to make different curries ranging from south-indian to thai curries and various desserts.